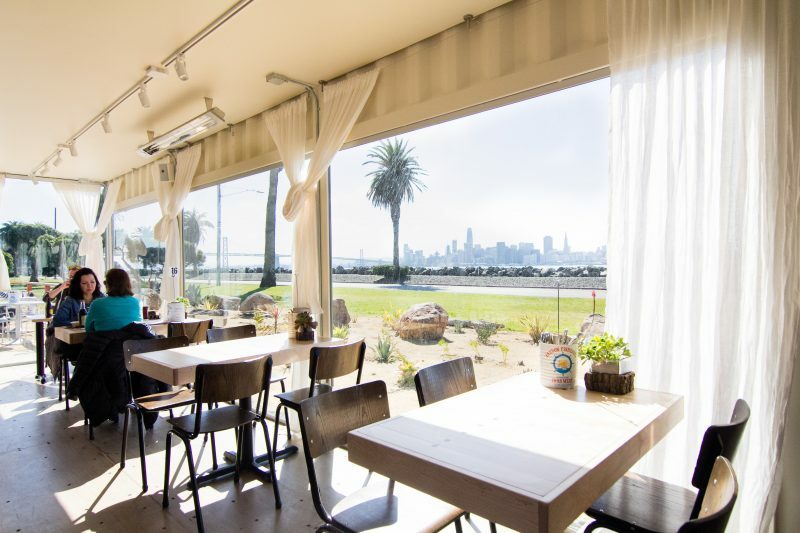 New and notable on San Francisco’s Treasure Island, Mersea is proving that restaurants can be remarkably resourceful. 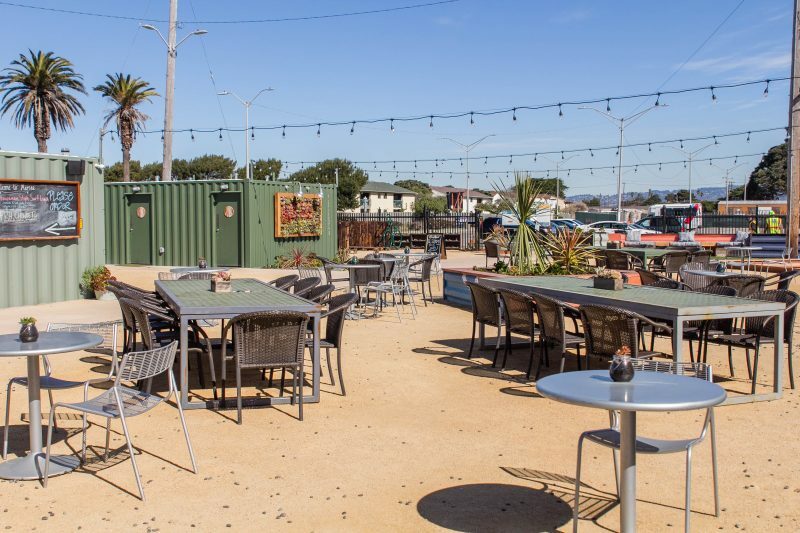 Opened in mid-January this year, the hotspot is built entirely out of recycled shipping containers — a nod to environmentalism as well as San Francisco’s history as a major port city. Dine while taking in sweeping panoramic views of the San Fran skyline, the Bay Bridge, and Golden Gate Bridge from every seat in the house. There’s something for everyone on the comfort-casual menu from Executive Chef Parke Ulrich. 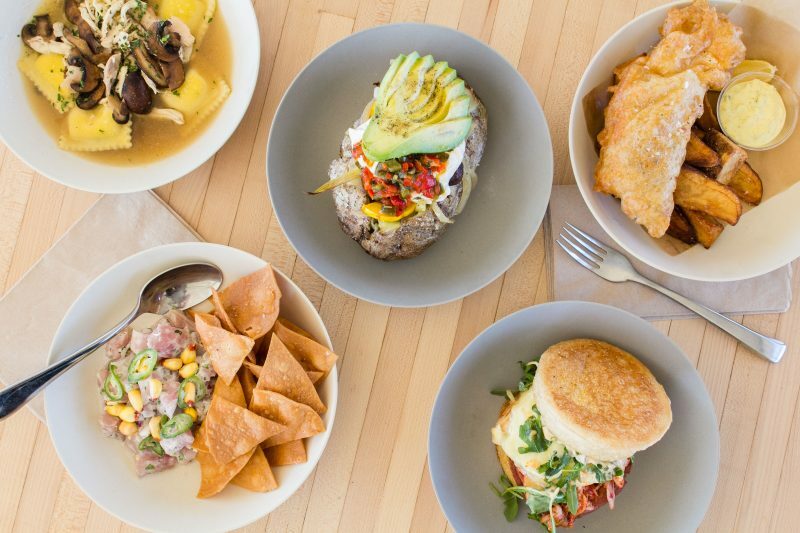 He features globally inspired flavors as well as an array of American classics. 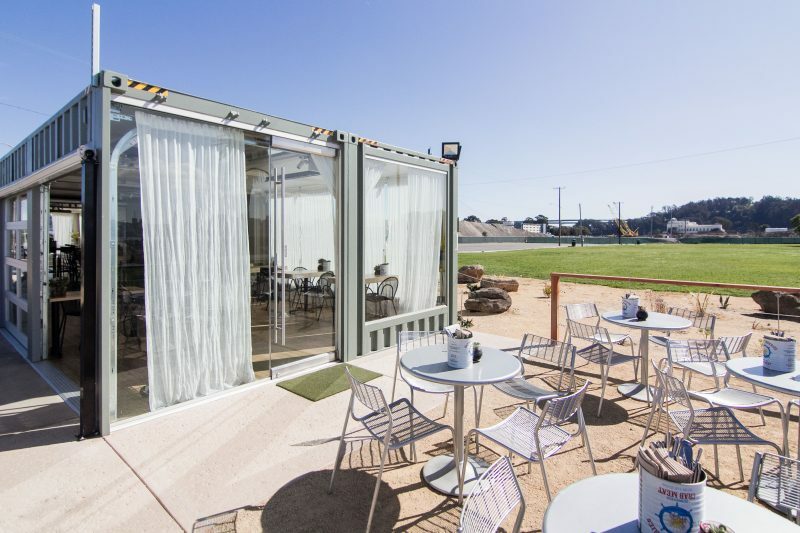 Thirteen shipping containers were repurposed to create the indoor bar and dining space, an impressive MRDK military-grade kitchen, sleek restrooms, and a cozy private dining room deemed the “Board Room” – a witty play on Chef Parke’s passion for surfing and water. 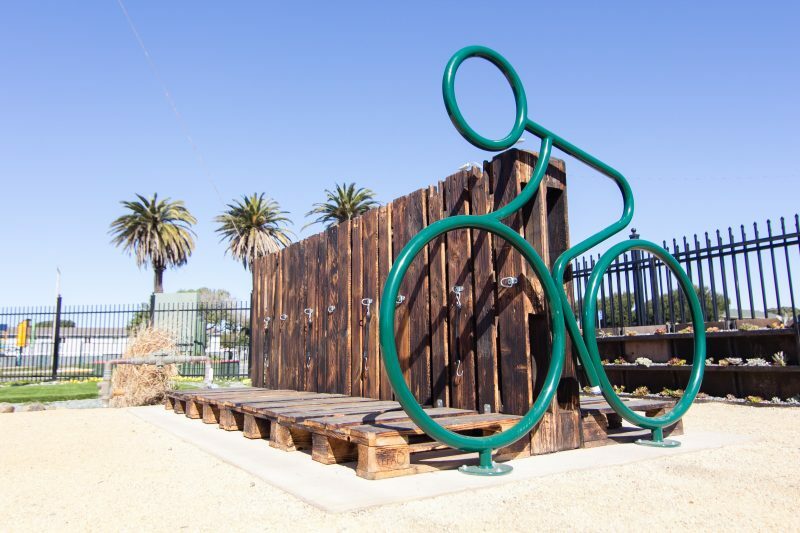 There’s also an outdoor bocce ball court and a professional, custom designed putting green created by Back Nine Greens. 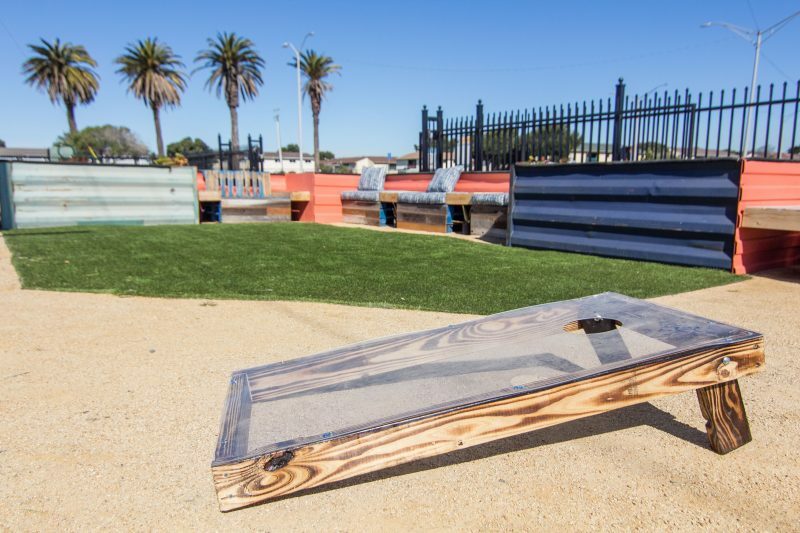 As a tribute to the old Treasure Island Bowling Alley, artist and carpenter, Joe Wrye and Chef Ulrich built two communal tables from the former maple bowling alley lanes. 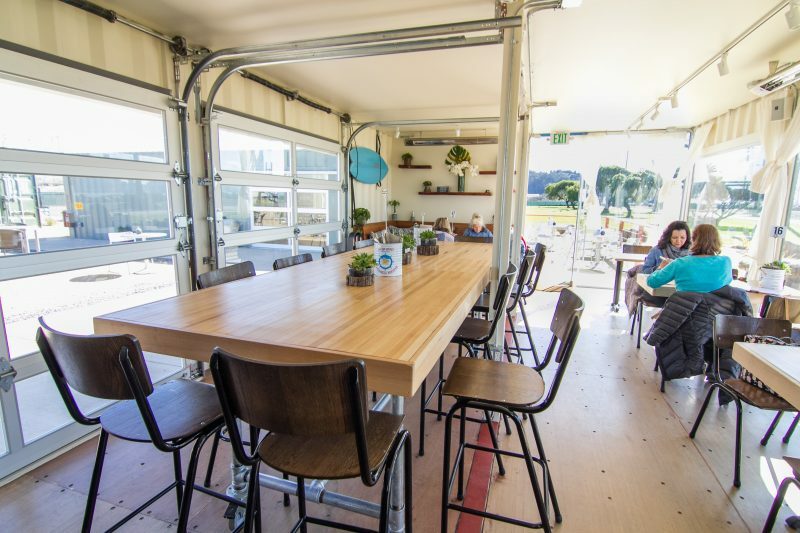 Mersea is an exceptional eatery and a truly environmentally conscious reuse of local materials.